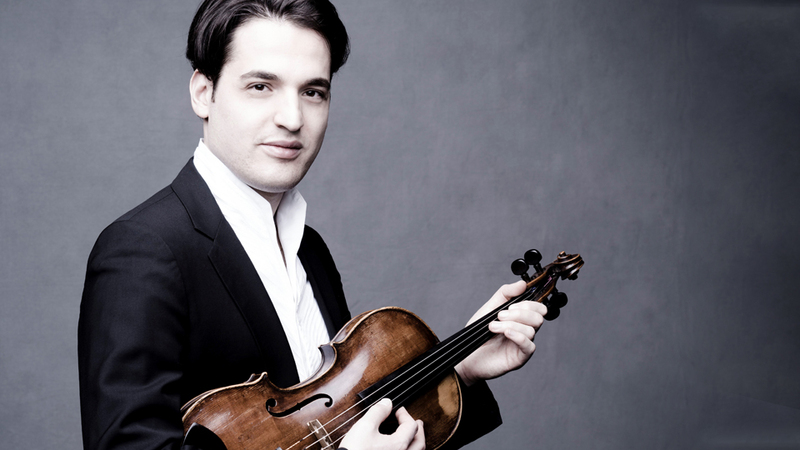 The Belgian-Israeli violist Nathan Braude has performed in many of the world's most prestigious concert venues including the Wigmore Hall in London, Théâtre de la Ville in Paris, Amsterdam Concertgebouw and the Palais des Beaux-Arts in Brussels. Nathan Braude has also appeared as a soloist with numerous orchestras including the Brussels Philharmonic, Orchestre National de Lille, Orchestra della Svizzera italiana, Australian Chamber Orchestra, Orchestre Philharmonique Royal de Liège, Symfonieorkest Vlaanderen, Limburgs Symfonie Orkest and Solistes Européens Luxembourg. In September 2016 Nathan became the new principal violist at the Gurzenich Orchester, Koln. Festival appearances include Progretto Martha Argerich in Lugano, Ravinia Festival in Chicago and Festival de Radio France in Montpellier. Since 2010 Nathan regularly performs in duo recitals together with his wife Polina Leschenko. His début recording for the Fuga Libera label with the complete works for viola, by the Belgian composer Joseph Jongen, has been released to great critical acclaim. Other recordings include the Dvorak piano quartet op.87 released on EMI Classics as part of the Martha Argerich and Friends: Live from the Lugano Festival 2012” series and Brahms horn trio (viola version) for the Warner Classic label.